Many thanks for your gracious response, Joan. Thank you so very much, Lenore. Your gracious comments are always appreciated. Absolutely beautiful mood and perfect colors! v/f!! Many thanks for your kind response. Much appreciated. Kelly, thank you for featuring Castle curtain Wall in the World Landmarks group. 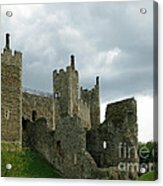 Mariola, many thanks for featuring Castle Curtain Wall in the 500 Views group. 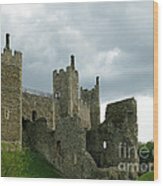 Barbara, many thanks for featuring Castle Curtain Wall in the MOUSE group. 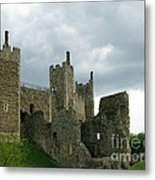 Mehveen, many thanks for featuring Castle Curtain Wall in the Women Photographers group. jrr, thank you for featuring Castle Curtain Wall in the Beige Brown Sepia group. Thanks a lot for your insightful comment, Jenny. Very much appreciated. Those walls remember the rich historical moments definitely...The dramatic clouds help to create much more atmosphere in this image. Many thanks, Barbara. So glad you like this 12th century castle. Joyce, thanks so much for your generous compliment. I walk around on top of this castle's walls every time I visit my friends in England; it's become a habit! Amazing work here Ann; I love the textures and incredible contrasts - congratulations on the sale! Thanks for you kind comment and words of congratulations, E.
Thank you for your gracious congratulations and comment, Mel. Lots of history and impact with the ominous clouds! Nice capture, Ann and congratulations on your sale !! Many thanks, Juergen. Much appreciated. Deborah, Gina, and Chris... many thanks to each of you for your kind congratulations. Glad you like the image. 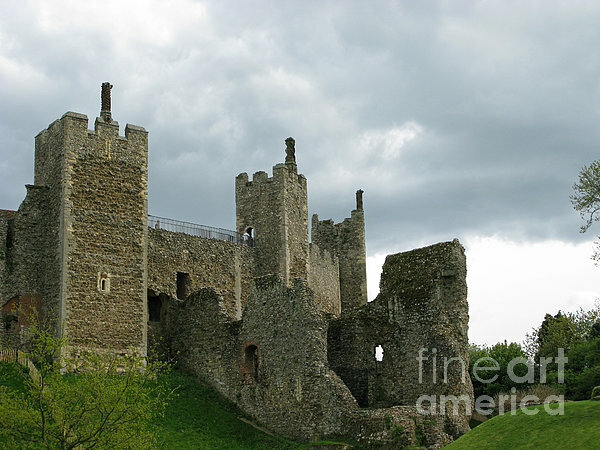 Framlingham Castle in Suffolk, England dates from the late 12th century and consists of a high circular curtain wall, a portion of which is seen here. 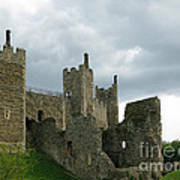 It is constructed of flint with tall towers which once provided defense for the domestic buildings within. The ornate brick Tudor chimneys were added later. Copyright 2009 Ann Horn. ALL RIGHTS RESERVED. This copyrighted image does not belong to the public domain and may not be reproduced, copied, altered or manipulated in any way without the written permission of Ann Horn. ann-horn.pixels.com. 1 print sale. pixels.com Group Features: World Landmarks. 500 Views. MOUSE-Story. Women Photographers. Beige Brown Sepia.